In 2010, there were 111 new posts, growing the total archive of this blog to 201 posts. There were 781 pictures uploaded, taking up a total of 227mb. That’s about 2 pictures per day. The busiest day of the year was November 8th with 553 views. 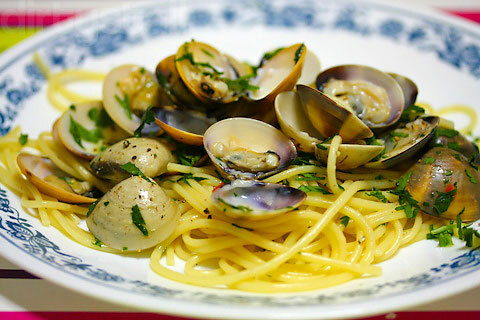 The most popular post that day was Spaghetti alla vongole in bianco. The top referring sites in 2010 were camemberu.com, twitter.com, myfoodsirens.wordpress.com, foodlah.com, and facebook.com. Some visitors came searching, mostly for chikuwa tei, sushi saito, waku ghin, nandos singapore, and sushi saito tokyo. 4 Responses to "The Dirty Stall: 2010 in review"
Hi, “The Dirty Stall” is the title of my blog and has nothing to do with Warong Nasi Pariaman.